The fifth Fourtharch outing was held at the above establishment on the afternoon of the 9th November 2013 and was chosen by Matt. For any prospective new members this is an annual event to meet at a favourite hostelry discovered and chosen by one committee member anywhere in the UK. Once the venue has been chosen and everyone is in attendance or on-site there is only one task to perform, apart from having a jolly good time and that is to decide where next year’s venue will be. Congratulations to committee member Richard and wife Claire on the birth of their daughter Elizabeth – just after the first week in September – Phew! Yes, it was Matt’s choice this year and from the very minute of his announcement at last year’s venue he had us all in suspense – we knew that Windsor was the destination, but we didn’t know which pub it was going to be – the funny thing was Matt didn’t know either as he was to tell us later that he just couldn’t remember the name of the bl@%%£ place. It was the morning of Friday 8th November and as usual I met with team member and logistics manager Mogi at Heath High Level station in Cardiff – all journeys begin at Heath High Level. Things were off to a good start as we both got away without paying for the short train ride into Cardiff Central – was this a sign of a good things ahead? No, it certainly was not as we were soon boarding the wrong London train for Reading, how did we know it was the wrong train? When we were thrown off at Swindon, our tickets were only good for the 11.25 train out of Cardiff that we now waited for while enjoying a pleasant interlude in the rain on a railway station in Swindon. After arriving at Reading on the train we should have been on in the first place we decided to take a look at the new station building and as we headed up the shiny new silver escalators to the newly built covered walkway spanning all platforms, Mogi pointed out the impressive array of new information boards and signage enabling a weary passenger to get on the – wrong train yet again – this time the London train that would not stop at our next scheduled destination – Slough. How did we know we were on the wrong train? I happened to be looking at my Google map and watched in horror as the little arrow didn’t seem to be slowing down near Slough any time soon and indeed shot right through it at high speed as indeed we did heading at break neck velocity straight for our next unscheduled and unwanted stop – Paddington. When we finally returned to Slough on a train that actually stopped there, it was just a quick walk across the platform to the train for Windsor that we could not possibly mistake, the hotel arranged at a very good price by Matt was almost on Windsor railway station, so only a few steps away – we had arrived – eventually. Unbelievably we were still too early for the 3pm hotel check-in so all of a sudden and out of the blue the rebel in Mogi came to the fore and he decided to have a pint simply because he was not in his office mid-afternoon and he could do so if he wanted – not exactly the revolutionary stuff of Che Guevara but it was his own small stand against the system – a system that delivers beer to a bar in a hotel reception and keeps it cool so that you can order one to drink whenever you like. This all a reminder of the anti-capitalist protestors in their tents outside St Pauls Cathedral last year who sent their anticapitalist messages to the public via their capitalist Blackberries while enjoying a capitalist coffee in the capitalist Starbucks using the capitalist coffee shops capitalist free WiFi – Respect! All roads now led to Windsor what with Matt and Richard travelling from Cambridge by car, Dave also coming by car from Bristol, Gez travelling from Bath by train and new member Steve also using the train for the shortest journey today from London. While all this was happening Mogi and I decided to explore our latest featured town and we began back at Windsor railway station or Windsor & Eton Central railway station to give it its full name. The station has only one active platform these days but we were both very impressed with the way the rest of the old station buildings and platforms had now become an indoor shopping mall and dining area with the old ticket office now used for tourist information. A lot of the new restaurants on the station had large sandwich boards advertising a hearty breakfast every morning – I wonder if this had anything to do with their close proximity to the Travel Lodge? We headed, literally down Thames Street to come across the delightful Theatre Royal with oodles of red velvet filling its tiny foyer all bathed in that warm theatrical lighting, we eventually wound our way around to Windsor’s other station, Windsor & Eaton Riverside and then took a stroll along the bank of the Thames itself. During all this time Mogi did not mention once the fading November light and if only we could plan our trips for September like the old days – little did he know at this point that his wish would soon come true. 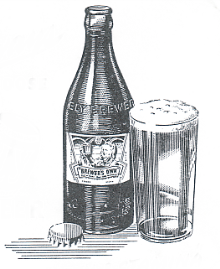 We were both now ready for beer and how convenient that as we approached some interesting looking gates that turned out to be the entrance to Windsor Great Park and the top of the Long Walk we also came across the Two Brewers, a pub that simply had to be entered [it’s a man thing]. This was a delightful little boozer its walls decorated with old wine crates and books that would cause Richard great distress later that evening but for now it was the perfect place to begin the fourtharch weekend – the beer was good and the conversation was flowing. Suddenly the person who was a man and a barperson appeared with a torch and began looking while shining the torch into the darkness under my table and appeared to be inspecting your writer’s legs. My mind returned to my shocking experience in St Ives only a few months previous when I almost lost my trousers in a Wicker Man style 1930s holiday camp game – what is it with trousers and the English, was this some sort of inspection, were we about to be asked to leave the pub because of a trouser regulation infringement? Can you imagine my relief when I noticed a mobile phone that the person who was a man working as a bar person was talking into and advising the person [gender or sexual preference unknown] on the other end of the phone that he could not find it, whatever it was. All team members were now converging on the town so it was time to return to the hotel to meet and greet, first to arrive were Richard and driver Matt, followed close behind by Dave then Gez would be the next to arrive by train from Bath and being as the hotel was so close to the railway platform we decided to wave at his train from the reception area. We got the wrong train for the third time today for Gez was on the next train from Slough however Gez did see your writer and Mogi waving at the train from the hotel window and later said it was one of the highlights of his weekend – I still wonder what the passengers on the previous train to Gez thought when they saw two strange men performing synchronised waving from a hotel window – did it look like something out of a Stephen King novel? Gez was sporting his new hairstyle of course, having finally lost his pony tail in a charity sponsorship event organised by lovely wife Johanna earlier in the year, Gez just beat our new ‘members must not alter their appearance’ rule to be announced at this years’ AGM but I also suspect he wants the same look as his favourite sports presenter – Jason Mohammad. The pub is right next to the main entrance to Windsor Castle and looked down upon by the town’s austere statue of Queen Victoria herself, Victoria is ever present in Windsor and indeed throughout the country and around the world, statues of Victoria can be found in most of the former British Empire countries and her name on many British streets, parks and pubs, even her private waiting room is still in place on Windsor and Eaton Central Station. Mention Osborne House on the Isle of Wight and Victoria’s name immediately springs to mind; in fact it was here that the old Queen died but because of the obvious catastrophic public relations disaster it would have been in 1901 it has only just been revealed that Victoria died in the arms of her grandson Kaiser Wilhelm, sorry that’s in the arm of her grandson Kaiser Wilhelm. 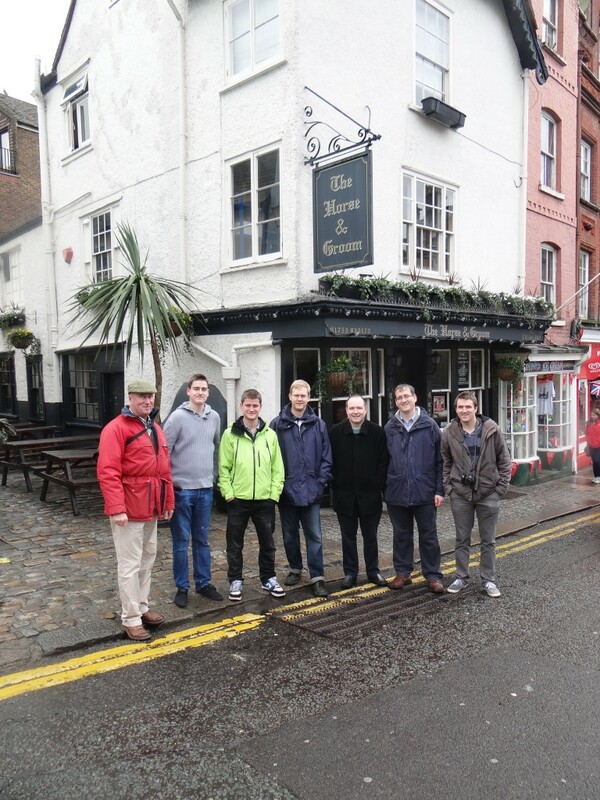 This year’s pub choice under the rules of our game was a very poignant one as Matt had enjoyed not one pint but many pints when he and his fellow choristers would sneak out of St George’s chapel across the road for a quick one to then quickly rush back hopefully unseen. Matt pointed out the corner of the pub where he sat enjoying time out years ago – I thought how nice it would be if tomorrows announcement could be made in that very same corner. We then decided to head back to the Two Brewers, the pub Mogi and your writer had only just vacated earlier in the fading November light and we were cutting it fine as the bell for last orders rang just as Mogi entered the pub’s front door – timing & respect. The shelves were not in fact filled with the worlds shortest books but only the spines of what would have formally been perfectly good books – Richard not for the first time on the weekend was made furious and in this instance by an act of vandalism but we managed to cool him down with another pint – good job there wasn’t an elephant’s head trophy on the wall. Day 2 – The Transition of Colin and Mogi loses his soul. We had decided to override the Travel Lodge breakfast by hopping just across the way to the station and the All Bar One restaurant where Mogi and I had noticed a very large blackboard the previous day advertising that hearty breakfast. I had gone for a little walk to take a closer look at a Barbican style housing estate I had noticed from my hotel room window, the estate was typical of that style of housing estate with elevated walkways or ‘streets in the sky’ that caused so many social problems and negative publicity in the 1980s – the solution as with the back lanes in Cardiff is to gate the estate off with resident access only. I returned to the station platform now looking forward to that hearty heavily advertised full English breakfast to find the whole team waiting outside All Bar One to be given the news that the restaurant doesn’t in fact open at breakfast time in order to serve that hearty full …..well you know what I mean. We are a resourceful team and besides there seemed to be lots of cafes and restaurants advertising breakfast around the Travel Lodge and we only had to walk across the covered old station platforms to find the even better and friendlier [and open] Patisserie Valerie. Everyone was soon tucking in and planning the day that was in effect to be a tour of Windsor Castle, it was soon time to pay and kitty man Mogi took care of the money only to have the waiter return after much deliberation telling us we were £10 short – we quickly corrected the honest mistake and what with two wrong trains this morning and waving at the wrong train looking like a pair of idiots from a Stephen King novel earlier on, I wondered if Mogi was losing his logistics manager mojo. We took the outdoor shopping area route to the Castle in a little bit of rain today and were soon standing near that statue of Queen Victoria again ready for the 11am changing of the guard, an even more spectacular sight was waiting for us inside the Castle – The Transition of Colin. Dave managed to buy the only umbrella without ‘I luv Windsor’ on it from a nearby Souvenir shop – an umbrella that would have consequences later in the featured pub. After the guard change it was good to get into the castle and undercover away from the rain, Matt did his tour guide bit by taking charge and got us through the ticket desk and then a security check much like the ones at Heathrow airport next door. As we cleared security we came upon the Transition of Colin, this spectacle came upon us all so quickly that we were unable to talk about the experience until much later that evening but for now Matt and Richard were frozen to the ground wondering what to do next. While Richard studied Colin’s name badge, Colin herself suddenly snatched all seven tickets from Matt’s limp hand like a girl, gathered them together and ripped them all in half like a man then handed them back to Matt in a girly man like way. We all snapped out of our trance when Colin then invited if not ordered us to pass his check post and to enjoy the Castle, we all agreed later in the evening that we had witnessed an interesting transition; the only question now was which way Colin was going! We were now free to explore the Castle by firstly winding our way around the Round Tower towards the State Apartments filled with all their riches and apart from the paintings, furniture and Royal dinner sets there were many display cabinets to look into and amongst the souvenirs from military history it was Dave who spotted in one cabinet the actual bullet that killed Lord Nelson. They do say in war that ‘Somewhere out there, there’s a bullet with your name on it’ I know your writer’s eye sight may be fading but even with my glasses and in a good light I couldn’t find the name Horatio written anywhere on that bullet. After winding through many richly historic decorated rooms we came upon a piece of very recent history and the Upper Ward now completely returned to its former glory before the great fire of 1992 during the Queen’s annus horribilis. The Upper Ward is a long hall with ceiling and walls decorated with many Order of the Garter coat of arms, a few of the shields on the ceiling had been blanked out – there was a good reason for this as the Sovereign may “degrade” members who have committed very serious crimes, such as treason or fleeing the battlefield. This is why you will not find your writer taking part in any Who Do You Think You Are style programs for like poor old Ainsley Harriott I don’t want to suddenly find out that one of those blanked out shields belongs to my ancestors or in poor Ainsley’s case that his family were slavers out in Jamaica. St George’s Chapel next that was another highlight for Gez, he had not realised just how big it was, for your writer it was standing at the tombs of Henry VIII, Charles I King George V and Queen Mary all surrounded by the celebration and grandeur of the Chapel itself. In complete contrast to the above was the Beatles tour that I had enjoyed in Liverpool earlier in the year and was surprised by the ordinariness of the streets, houses and places that the Fab Four grew up surrounded by to have then gone on to rival the Royals in stature, create an international musical and social revolution and to give John Lennon the confidence to state that the Beatles were “More popular than Jesus” Whatever your religion I think people should stick to what they are good at, in other words the Beatles should stick to being the Beatles and the Royals should stick to being Royals – this after seeing various Royal attempts at watercolours also on display in the Castle. 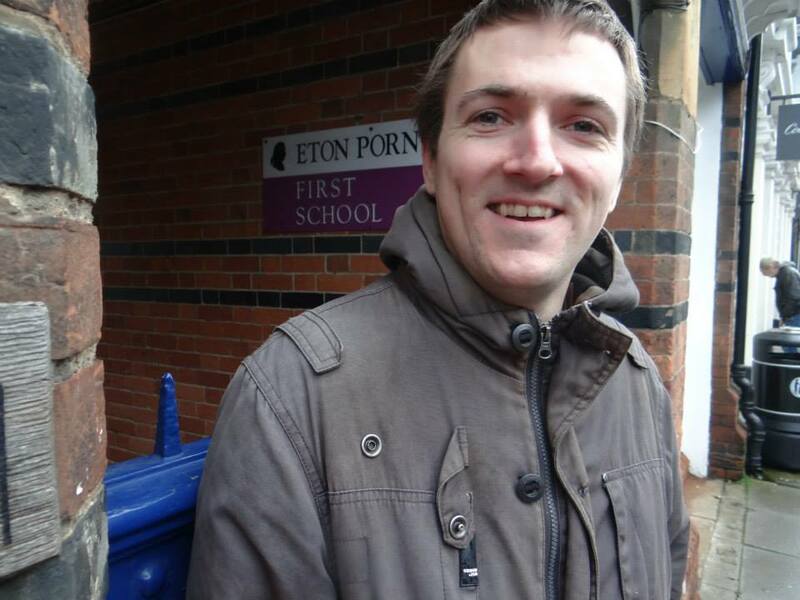 You had to be there but he received a collective belly laugh from everyone – we will get him a seat on HIGNFY yet. The Horse and Groom is very small and intimate inside and I know it was a long shot from yesterday evening but I was still hoping that we could all sit in Matt’s corner however as I helped Mogi with the drinks I noticed the corner seats were taken by what looked like a group of girls. My disappointment did not last long as I saw Matt, Richard and Steve chatting with the girls and all of a sudden the girls were getting up from their seats, as I moved closer with the beer I noticed that the girls were Americans and had kindly offered to move around so that all seven members of team Foutharch could actually sit in the very corner of the pub where Matt and his fellow choristers used to sit not so long ago – result! I was really glad that the American girls were sat nearby for I later learned that they were the only people who actually listened to my Chairman’s speech – I just cannot work out what took the teams attention away from what I thought was a very entertaining talk. 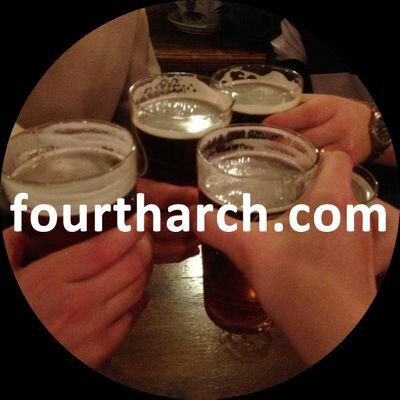 Richard had not only prepared an agenda for our AGM but also accounts and to sum up we all agreed that things had moved on since last year with the revival of the Fourtharch website and everyone was pleased with our new business cards again organised by Richard. Our team had grown with new member Dave and newest member Steve and further recruitment was encouraged. I then put forward a new rule that members must give notice of any sudden changes in appearance, especially before the business cards are printed – we consulted the linesman and off side rules and decided that Gez had changed to his new and very smart look just before the new rule had been introduced therefore could not be sent off. The good news kept coming for as team captain 2014, Dave decided to move the outing date back to September – was this because Dave was getting married or having a baby? – No! Dave is going to Mexico next November on a landmark Birthday bender – respect Dave. It was time to leave and before I could get up everyone seemed to be thanking the American girls and wishing them a good day and as we made our way outside and looked back at our featured pub one of the girls suddenly burst through the pub doors and came rushing across the road [Camera Script for the Fourtharch movie, all in slow mo:- pull out from Windsor Castle for a tracking shot around Queen Victoria’s statue picking up the American girl stopping as she comes face to face with Steve] It wasn’t in fact the end of a romantic Hollywood movie but Dave had forgotten his newly purchased umbrella and the American girl rushed out to hand it back to Steve while seeming to hit on him at the same time. The girl seemed terribly interested in what we were doing and in an investigative way she hoped our meeting went well whatever it was, I quickly saw an opportunity to give her one of our business cards that she was very grateful to receive and told us that she and her friends were in Windsor just for the day from London. The November light was now fading so we decided to see as much of the rest of Windsor as we could, but would you believe after our hearty breakfast and lots of beer the first thing now on certain members’ minds was more food – the take away outlets on the curving Thames Street catered for all their tastes. Thames Street that wraps itself around the castle and plunges down towards the Theatre Royal also now plunged Mogi into new depths for having earlier lost his logistics manager mojo he now appeared to be struggling with his soul and for a moment Matt thought he had witnessed a miracle [that’s the other religion Matt] Would Mogi find salvation or as a non-believer have to resort to Christian charity? As you know dear reader, these newsletters are a little bit like fairy tales or an episode of Heartbeat so don’t worry things do work out for Mogi in the end but for now we were about to cross the Thames into Eaton with the now soulless Mogi limping behind us and what with his long black coat stuffed with various hotel, restaurant and tourist attraction vouchers he was beginning to look like he had just escaped playing the villain at the local Pantomime rehearsals. The journey from Windsor to Eaton is a short one and literally the distance the bridge takes to cross the Thames and as we walked across Matt told us that pupils of Eaton were not allowed to use the pubs on the Eton side of the river as it was for the teaching staff only. We continued on down the main drag in Eaton passing shops and businesses supplying everything that your average Eton schoolboy needs and then some in order to attend the famous school – this all seemed to bring out the inner naughty schoolboy in all of us. We stood at the end of the High street and could more or less see all of Eton school, unfortunately it was not open to the public today but it was really interesting to imagine the schoolboy versions of the many famous people who have attended the school over the years including our very own Prime Minister. On the way back Richard and Matt popped into a second hand bookshop and discovered a fascinating little Edwardian handbook on etiquette, curiously there was some good advice that they thought might direct Mogi along the road to redemption or at least stop him from repeating all those dreadful jokes. We all have our own private religions and for some it is sport, for others it is religion itself and for your writer it is solitude so it was decided to go off and practice our own chosen faiths for a few hours – Richard and Matt attended Evensong in St Georges Chapel, while others attended the Wales rugby game on the pub TV in the Royal Oak. It was two hours later when I received orders from Richard’s text to regroup in the pub, the rain had stopped for now but darkness had set in and as I entered the Royal Oak I was met by what I consider even more darkness in the form of Pudsey Bear collecting for the BBC’s Children In Need – not quite an oxymoron but close. We were now all gathered and ready for food, some members seem always ready for food so it was Chinese tonight and back up Thames Street once more. As we entered the door of the Chinese restaurant we were to witness immediately the ruthless efficiency of a race of people coming down your way very soon. Picture the scene, 7 blokes waiting for a table in the busiest restaurant in town, 5 other diners about to vacate a circular table filled with the aftermath of a full Chinese meal – before these people could get up and return their chairs to the correct position [see Richard and Matt’s Edwardian etiquette handbook] the Chinese waiting staff had completely cleared the table and re-laid it ready for us to sit at – all before the previous table’s diners were out of the restaurant door – phew! My challenge for the evening was to get out of the restaurant before they could do the same to us, but everyone was far too busy enjoying the menu and before we could decide what to have or even order our table was full of food – you have to respect the Chinese, we may have to one day. They say a good restaurant should be like attending the theatre and we were all open mouthed watching the next act on stage that was our waiter who collected up all our plates and cutlery and took the lot away in one hand – now that deserved a round of applause. Beer was now the last order of the day; we had plenty of good pubs to choose from all in walking distance so we decided to try the Carpenters Arms tucked away behind the Windsor Guildhall, Matt reminded us that it was here that the Prince of Wales and the old Queen were married. This was a second marriage for both Prince Charles and Sir Elton John and they were both also going to try something a little different the second time around – Elton John by marrying a man while Prince Charles married a hor$£. The Carpenters arms was a perfect pub for Prince Charles to have popped in to calm his nerves on the day of his marriage but for today we settled ourselves on a table behind the bar that was up a floor but opened out onto the next street level for the beginning of the plunge back down Thames Street. After 24 hours together the team really gelled tonight and team captain 2014 Dave was on fire as he began to argue passionately about Bitcoin, I think he became so worked up by the end of the evening he almost threatened to make us all millionaires to prove his point about the new currency – fair enough Dave, make us all millionaires, see if we care! He achieved a result as we did get another round of drinks and lots of free packets of crisps as an apology – Mogi keeping one behind for an emergency snack for tomorrow making his long coat look even more stuffed. Is it any wonder what with our hotel being so close to Windsor and Eaton railway station and having been partying under it the previous evening that Richard thought he had woken up thinking he was back in the age of steam – this later turned out to be the atmosphere created in their hotel room by Matt’s ½ hour shower regime. We were all soon checked out and gathered outside and it is always sad to see everyone depart after such a great two days, Dave and Steve were the first to head off while those remaining returned to the Patisserie Valerie for coffee and pastries to then look forward to a trip to Runneymede. After two days of rain the sun finally came and we would be blessed with a clear blue sky all day along with those long November shadows, so I decided to have a quick walk around Windsor to take some photographs in this perfect light. It was Remembrance Sunday today and the service was just about to begin at St John the Baptist Church, I was reminded of Cheltenham this time last year when the date coincided with Armistice Day and the whole of Gloucestershire seemed to be on the Promenade in Cheltenham for the service. Matt took us all in his car while also giving us a personal and local history commentary on the road out of Windsor to Runnymede that cuts right through the middle of the Long Walk in Great Windsor Park, Matt referred to the Long Walk as the Long Mile that immediately trigged the mind of wordsmith Gez who wondered out loud where the ‘short mile’ was. We were soon pulling into the National Trust car park [free to NT member Matt] attached to the heritage area; like the Battle of Hastings and although a very significant historical area these particular heritage sites usually comprise of little more than a field and in the case of Runnymede a water-meadow alongside the River Thames. If Runnymede had come up as a Trivial Pursuits question before today’s visit I would have just about managed to come up with the answer Magna Carta but little else, however I am in very good company as Prime Minister David Cameron was stumped by David Letterman on the Late Show last year when asked what Magna Carta meant – that’s the same David Cameron who attended Eaton just a few miles up the road from the Runnymede site – looks like you just have to ‘turn up’ at Eaton then. David Letterman was not trying to wrong foot the Prime Minister but signalling how well known the Magna Carta was to millions of prime-time evening viewers in America who learn about it at grade school. The document sealed by King John in 1215 is treated with near religious reference in the US, the rights sought from the King by English barons and freeman found their way into the American Bill of Rights and the Constitution. 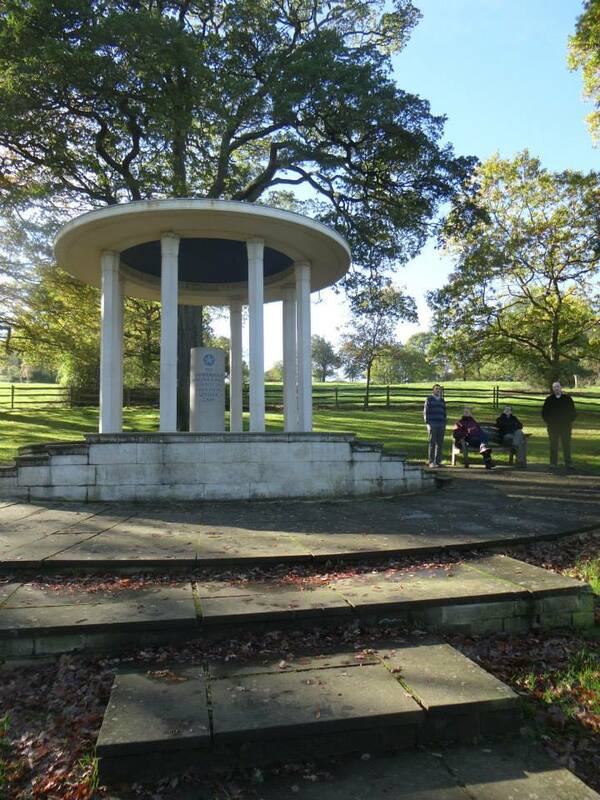 We were just short, figuratively speaking of two significant anniversaries @ Runnymede today, by two years for the 800th anniversary of the sealing of Magna Carta but only 2 weeks short of the 50th anniversary of the assassination of President John F, Kennedy who also has a memorial here. President Kennedy may not have quite said that but it gives a taste of the other side to his now almost sainted memory, the youthful image and influence of JFK is still very relevant today so it is always a surprise to see his birthdate on such memorials – 1917. The area of ground on which the memorial is situated was given as a gift to the United States of America by the people of Britain the property ownership was later transferred to the federal government and Matt our tour guide informed us while climbing to the Kennedy memorial that during the US federal government shutdown in October many sites outside the United States like this one would have also been shut down. We eventually found our way up to the small Magna Carta memorial on the lower slopes of Cooper’s Hill that was created by the American Bar Association and we sat looking back over the field we had just walked across – suddenly we were all open mouthed at the sight of one hell of a huge passenger jet coming from Heathrow and behind the trees as it began to climb and bank – one incredible sight. The field around the memorials were empty today but it looks like the whole of the United States and its brother will be here in 2015 for the 800th anniversary. Contemplating Magna Carta @ Runnymede – or another pint! Thunderbirds Are Go – Destination Slough. We were now on a mission to deliver Gez to Slough railway station to pick up his assigned train home to Bath; on route Matt continued his very interesting running commentary of the area right into Slough itself, a town that it has to be said is quite a contrast to Windsor only four miles away. Whenever Slough is mentioned I can hear the groans, mainly from people who have never been there, as a fan of Architecture I can find something of interest in most places and those early 1960s stilted office blocks with their clean lines on the Slough trading estate as featured in the opening titles of The Office were the very latest in design at the time sweeping away the by then unfashionable decorative Victoriana. The Slough trading estate also has claim to one of the world’s most highly desirable locations and has provided generations of children since the 1960s with just as many thrills as Disneyland itself – Tracy Island. Yes, Gerry Anderson had his studios here where he produced the hit puppet show Thunderbirds and if you ever got bored with that Matt also referenced the Mars factory close by. After waving goodbye to Gez at Slough’s French chateaux style railway station our next stop was Heathrow airport, unfortunately not to fly to somewhere warm but for your writer and Mogi to pick up the tube for our extra night in London in order to visit the Churchill Cabinet War Rooms the next day, we thanked Richard and Matt for the lift and wished them bon voyage for their journey back to Cambridge. Everything was running like a well-oiled machine so far today but after winding our way through those dreadful tunnels full of half dead travellers at Heathrow and finally arriving at the tube ticket office we found that the machinery had stopped – there were no tube trains into central London from Heathrow today because of line maintenance, however there was a replacement bus connection from Osterley station where we would be taken further down the line to pick up the tube again for central London. We finally arrived at our hotel near Vauxhall Bridge and after checking in we decided to have a walk along the Thames right into the centre of London passing the Palace of Westminster, the Cenotaph, Trafalgar Square, Leicester Square and the very very busy Regent Street for the first weekend of the Christmas lights. It was dark as we walked down the Mall towards Buckingham Palace and we seemed to be the only two people around and as we peered through the Palace gates I imagined the Queen inside putting her feet up after performing her duties at the Cenotaph earlier on and watching the last episode of Downton Abbey. I also thought of David Cameron as we went by Downing Street earlier and wondered, apart from Magna Carta what else he didn’t learn at Eton. We met up with Mogi’s brother Reese later on for a bite to eat, a few more pints and to possibly recruit a new team member, finishing the evening by being refused service in a pub we finally found back near our hotel – London pubs still close at 10.30 on Sundays – how nostalgic. Next day it was the Churchill Cabinet War Rooms that was well worth the visit and the discounted price that Mogi got with one of his coat full of vouchers, we then spent the rest of the day walking around London once more taking in the South Bank, the Shard, Tower Bridge eventually departing at Victoria Coach Station where Mogi set sail for home and I headed down to Winchester for a few more days. I arrived in Winchester via a very comfortable National Express bus in the dark and not knowing the place found my way to the hotel for the night, so can you imagine my delight when I threw open the curtains the next morning to find that my view was Winchester Cathedral. That dear reader is it until next time but what of Mogi’s logistics manager mojo and more importantly his sole I hear you ask, being as Mogi is not a believer he thinks that you can replace your soul just as easy as replacing the sole on the bottom of your shoe – that he did do later on the Saturday afternoon and eventually found salvation in a new pair of shoes purchased in a Christian charity shop. As mentioned earlier his sole began to come lose on Thames Street and I gave him an elastic band* to hold his soul together that Matt thought was a miracle running repair job. *I have allsorts in my camera case for religious emergencies. To see more photo’s of our trip to Windsor on our Facebook page.